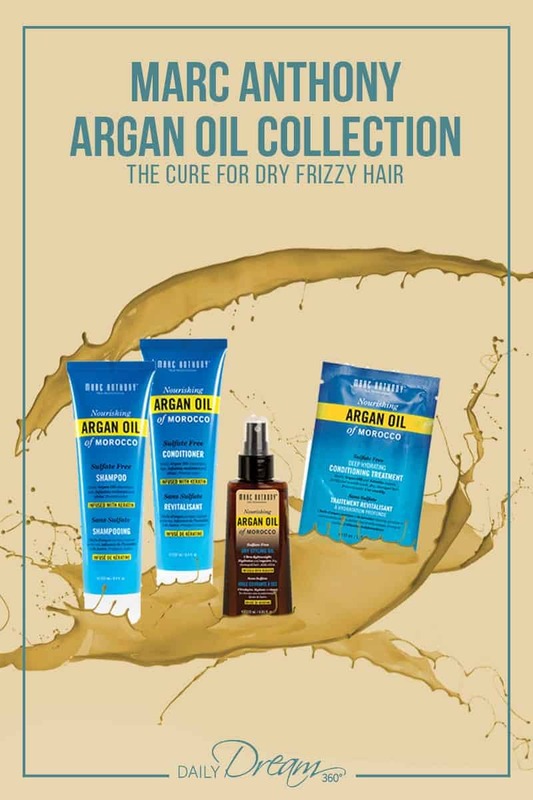 Dream Life Beauty Is Marc Anthony Argan Oil Collection the Cure for Dry Frizzy Hair? 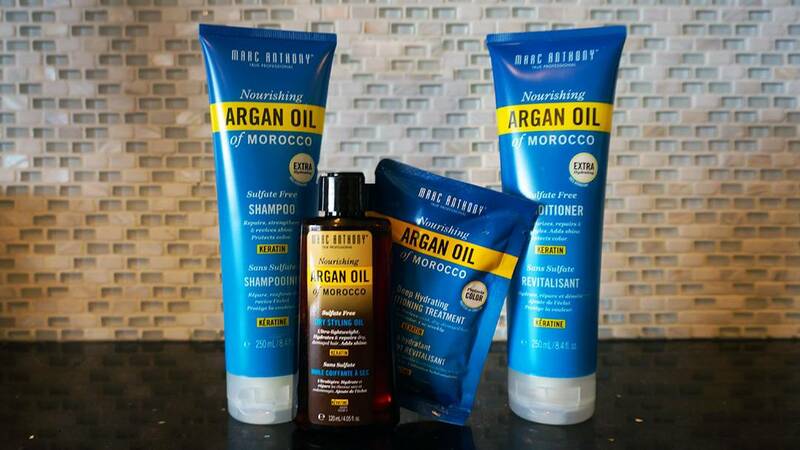 Those of you who read this site regularly know that I have thick curly hair and I swear by my Moroccan Oil products. 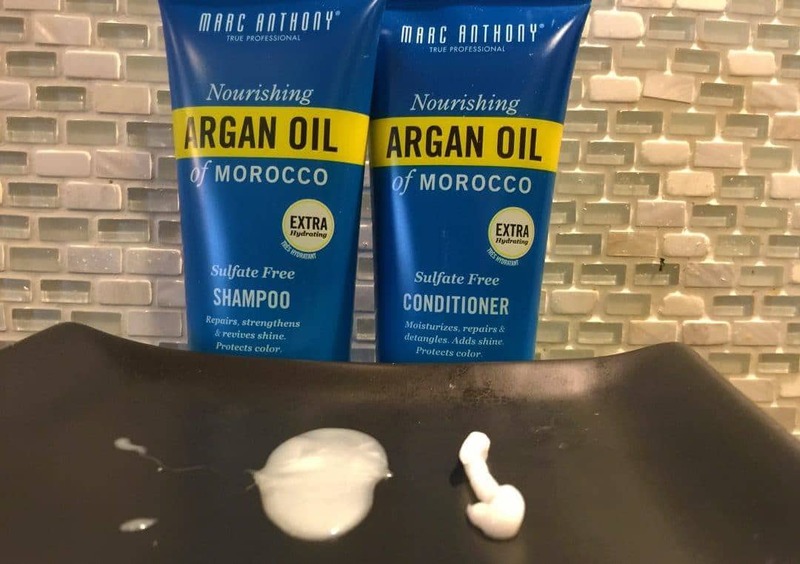 When the team at Marc Anthony True Professional challenged me to test their line of Moroccan oil products I was hesitant and didn’t feel very confident, their products would deliver the results I have come to expect. Then I did a little digging. 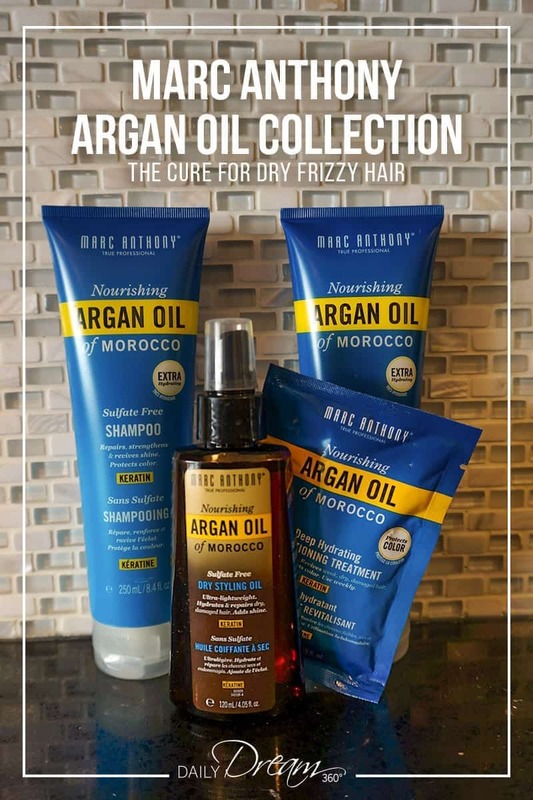 The Marc Anthony Argan Oil Collection includes Sulfate Free shampoo and conditioner with the promise of fortifying, nourishing and hydrating your hair. 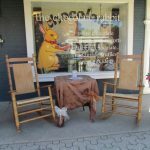 Intrigued, I decided to take them up on the challenge. I was given four products to sample, and I have been using them now for over a month. 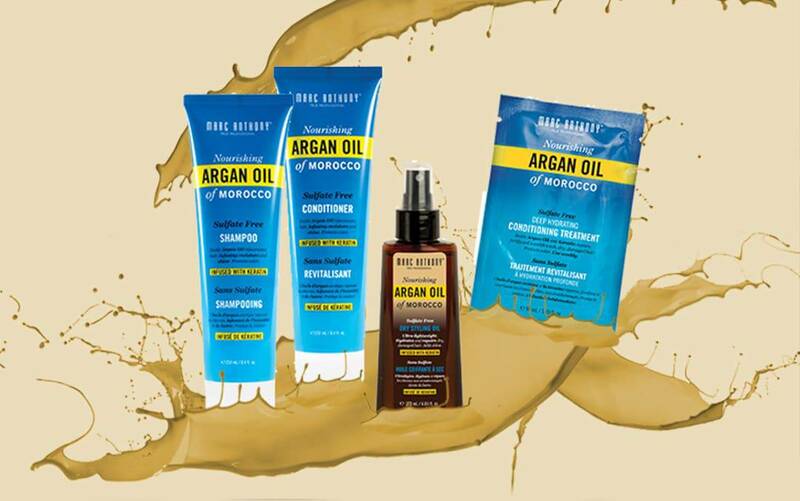 The Argan Oil collection includes shampoo, conditioner, deep hydrating conditioner and a dry styling oil. I loved this shampoo and conditioner. For a sulphate-free shampoo it lathers up like a dream, and you don’t need a lot of it. The conditioner is thicker, and again you don’t need a lot of it to cover all your hair. This is a big deal for me because I have very thick and long curly hair so I often use a lot of conditioners to get the desired results. 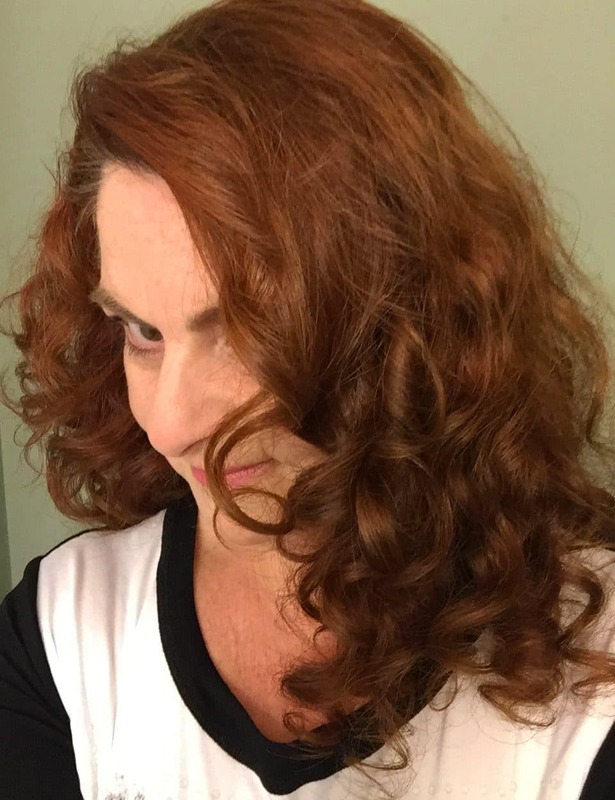 I could not believe how soft and shiny my hair was, from only one use! 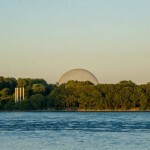 I saw a definite difference from my usual shampoo and conditioner combination. I had used oil-based conditioning treatments before and was very interested in trying this one. Perfect timing as my hair tends to get super dry during the winter months. I also find from all the travelling I have been doing and going between super hot humid climates to the cold brittle winter one at home that it is wreaking havoc on my hair. 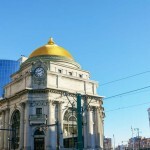 The hydrating treatment is perfect for those times when you need a little more conditioning. It was very easy to apply, and I left it in for 5 minutes. My hair was super shiny and soft. However, just using the shampoo and conditioner combination above was enough to notice a difference. I used the Dry Styling Oil in place of my usual Moroccan oil treatment. 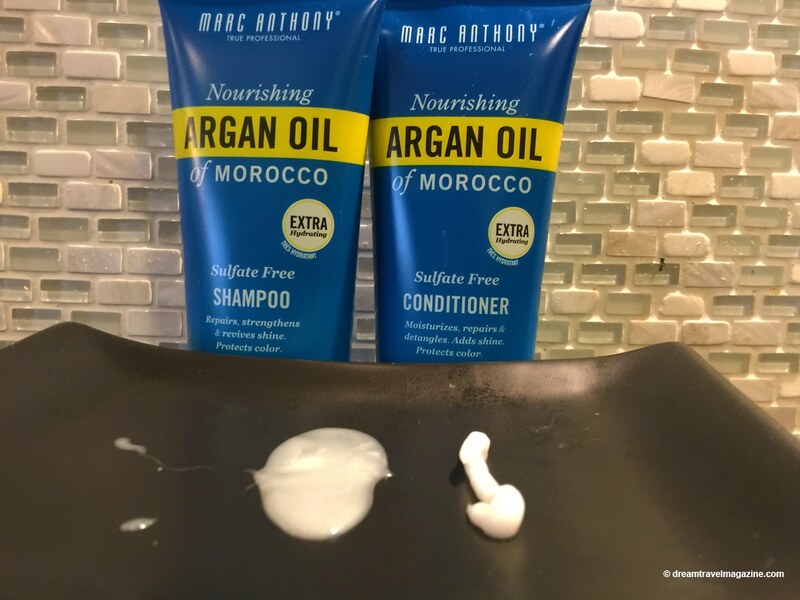 Usually, after towel drying my hair I use a dab of Moroccan Oil with a curl cream to help define my hair. This time I just used the styling oil spray. The spray is super lightweight as promised, but it didn’t feel like the oil was doing anything to my hair. As a result, I looked like my curls had a few flyaway hairs. I doubt in future I would use this spray as a leave-in styling treatment. Instead, I have been applying it to my dry hair on days when I do not shampoo my hair to add some moisture. It is an interesting product in that when I spray it on my hair, it still feels dry. I can smell the product and see the shine in my hair, but it sprays on dry, not like oil. Overall I am a fan of these products, especially the shampoo and conditioner. Disclosure: I was not compensated for this post, I received these products for review purposes only.